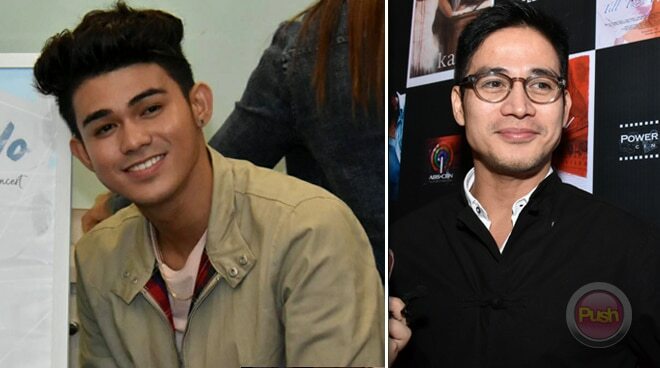 Will Piolo Pascual and son Inigo collaborate soon? Inigo Pascual says his father Piolo Pascual is his “role model” in his career. When it comes to his career, Inigo Pascual revealed that his father Piolo wants him to shine on his own – the reason why they haven’t collaborated yet for a show or for an album. “My dad, ayaw niya kasi ng ano ng gano’n na he wants to watch me perform, ayaw niya na nasa backstage siya. He wants me become my own person, be my own artist, so I appreciate that about my dad,” he said. But Inigo confessed that he really wants to work with his father someday since he really looks up to him as an artist. “Sana in the future I will be able to work with him for a song. We have a song before pero sobrang bata pa ako no’n, pero sana we will be able to work on at least a song together or even a performance on ASAP or something. Nami-miss ko ‘yun, nami-miss ko to perform with my dad. As a kid talagang siya ‘yung role model ko so di ba, kung mabigyan ka ng chance to perform with ng idol mo, si lodi, si papa P, I want to perform with him, I want to collaborate with him,” he stated. He added that he even wants to compose a song for his father. “Whatever he is doing (in) his career right now, he is doing a teleserye, siguro it would be nice to collaborate with him or even write a song for him or become one of his composers. So maybe in his next album, I will be able to write a song for him which would be something really, really cool,” he said.